York, Artesia, Flores, Harris, Jasper, Jones, Lange, Shibori, and Taylor (discontinued) are in the same template family. This means they share the same underlying structure and functionality. The directions in the York guides apply to all these templates. See the left navigation for information about building and customizing specific parts of your site. 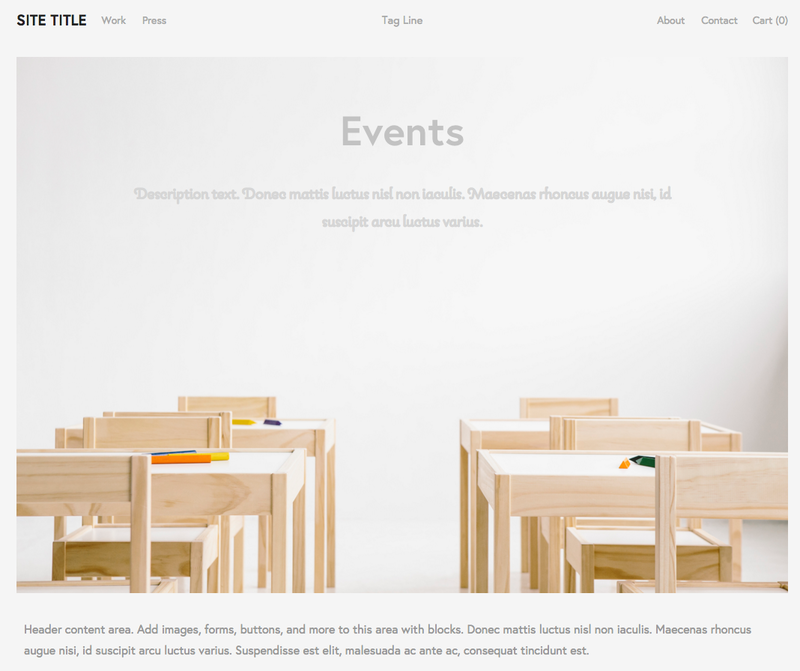 If you haven't yet picked a template, you can get help with initial installation at Getting started with Squarespace. You can also visit our general tips on building a portfolio site or photographer site. Note: Visit the York, Artesia, Flores, Harris, Jasper, Jones, Lange, and Shibori Live Preview pages for examples of real customer sites using these templates. If you've already created a site, you can switch your template at any time. 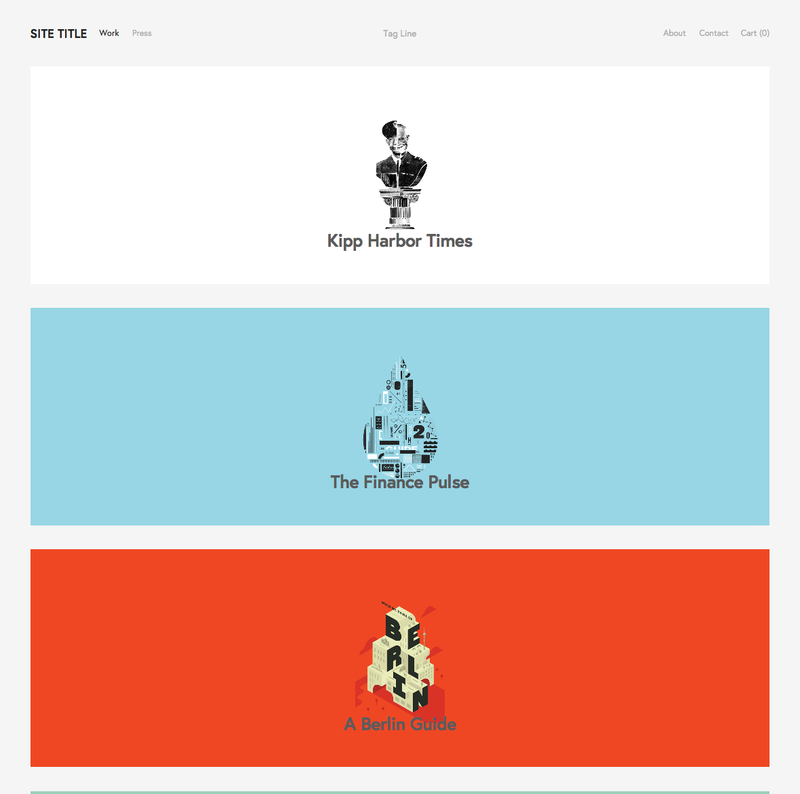 York, Artesia, Flores, Harris, Jasper, Jones, Lange, Shibori, and Taylor (discontinued) are portfolio templates designed to showcase the work of illustrators, photographers, creative agencies, and other visual content producers. With a stacked navigation Index landing page and unique Project Page layouts, these templates give you the tools to display and share your creative output. The Project Page arranges images, titles, and captions into elegant layouts. The Index Page makes a great landing page for your portfolio, with clickable banners or a grid of thumbnails that take visitors deeper into your content. These templates support special page animations, such as content sliding upward on scroll and a fade-in effect as banners load. Set the parameters of how your site’s fonts scale to control the size of key text in mobile browsers. Introduce your content in style by adding banner images and videos and customizable header areas to any page on your site. Open your Pages panel and add a Project Page to your Main Navigation. 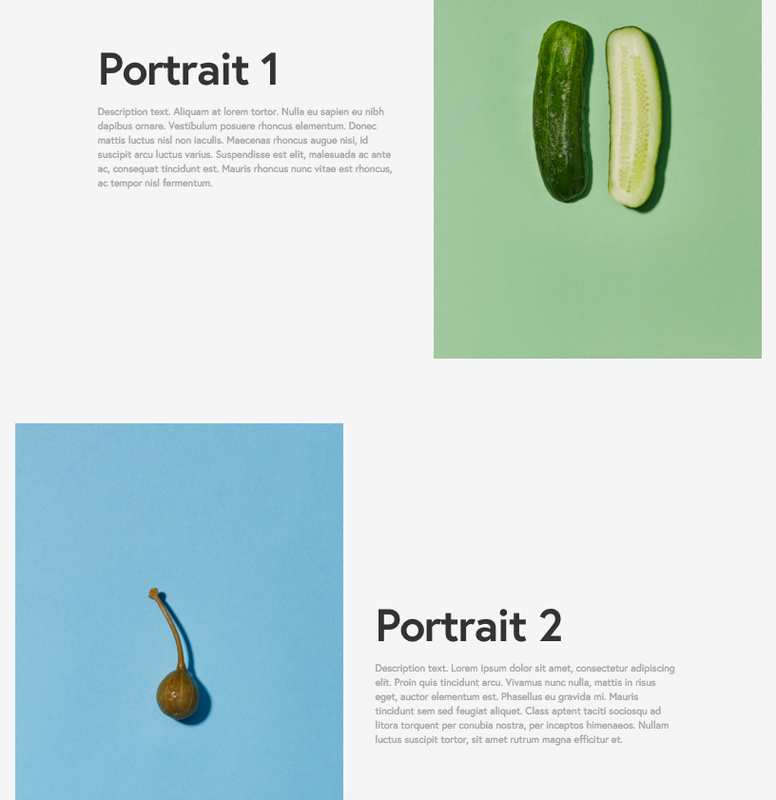 To get a feel for how your Project Page works, we suggest adding at least four images to your Project Page, two landscape and two portrait, and give each one an image title and description. Open your Pages panel and add an Index Page to your Main Navigation. Click Add Section to add pages, or drag in existing pages. To get a feel for how your Index works, we suggest adding at least four pages, and adding thumbnail images to two of them. Taylor is no longer available in the template store. If you already have it installed, you can continue to use it. To learn more, visit Understanding Squarespace templates.